The reach of Indian cinema is growing. And who would agree with this more than Sanjay Leela Bhansali whose 2015 costume drama Bajirao Mastani has now been praised by American billionaire Elon Musk. 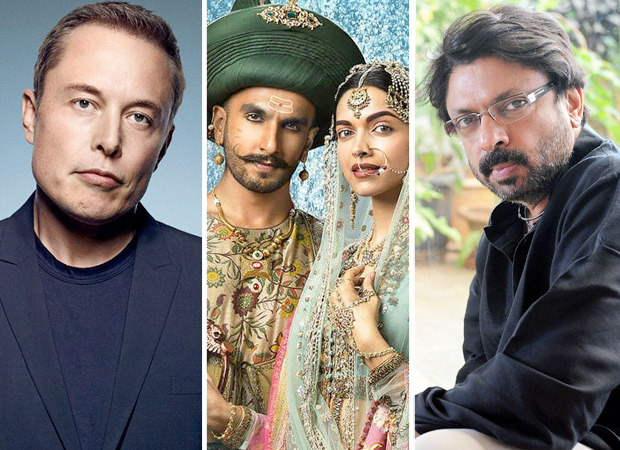 In a tweet that has gone virulently viral, Musk has praised the song ‘Deewani Mastani’ from Bajirao Mastani and even put the YouTube link to the song in his tweet. Bhansali’s spectacular costume dramas have constantly attracted international attention. His Devdas in 2002 was on Time magazine’s list of 10 best films of the year. Time critic Richard Corliss described the film as "a visually intoxicating musical with grandeur the old Hollywood moguls would have loved…Devdas is played with such commitment that the tritest plot twists seem worth believing -- and dancing to -- in nine nifty production numbers... It is a visual ravishment, with sumptuous sets, fabulous frocks and beautiful people to fill them." Hrithik Roshan to play SHIVA in the adaptation of Immortals of Meluha, to be directed by Sanjay Leela Bhansali? REVEALED: Hrithik Roshan turns down Sanjay Leela Bhansali’s Pulimurugan remake?